2011 wasn’t just any regular year for Ebel. 2011 marked the 100th anniversary of the Ebel brand. To commemorate this spectacular event, Ebel released a new luxurious design known as the Ebel Classic 100 and the Ebel 1911 BTR 137. 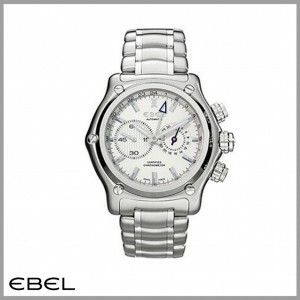 Ebel is known for maintaining its classy chic style throughout the history of the brand. To continue the tradition, Ebel has incorportated its same simple elegance into the Ebel Classic 100 and the Ebel 1911 BTR 137. This watch is a very sacred treasure to own being that it is limited edition. Ebel only made 1911 Classic 100 watches. Ebel was established in 1911, defining why the company chose to only make that many pieces. 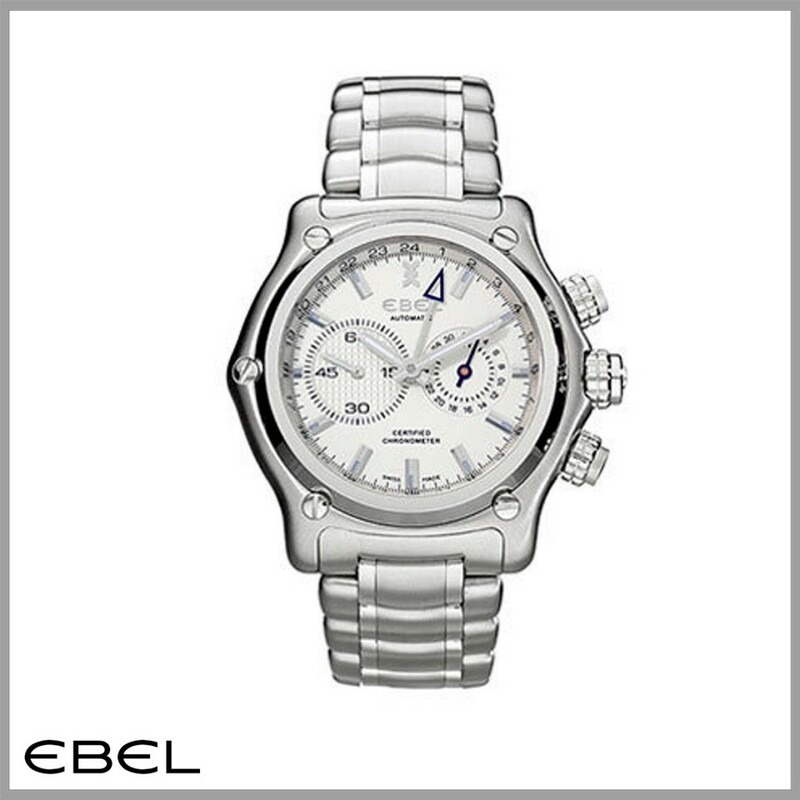 The silver dial has the original Ebel logo written across it enclosed by a polished silver case. The case measures at 40 millimeters, making it a decent average size watch for most men. The round face sticks to the brands true identity: pure and trendy. The dial contains silver leaf shaped minute and hour hands as well as a blue sweeps second hand. No numerals are displayed, however there are four evenly spaced applied baton shaped hour markers to guide one to the current time. A great feature of this watch is that it has a little date window by the hour three. 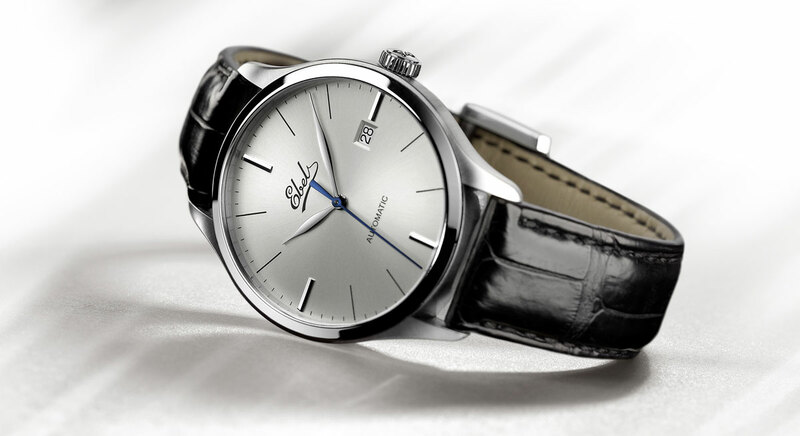 Valued for its mechanical automatic movement, the Ebel Classic 100 makes the perfect gift for any man with fine tastes. Its classic beauty makes this time piece perfect for events and meetings and even vacations! 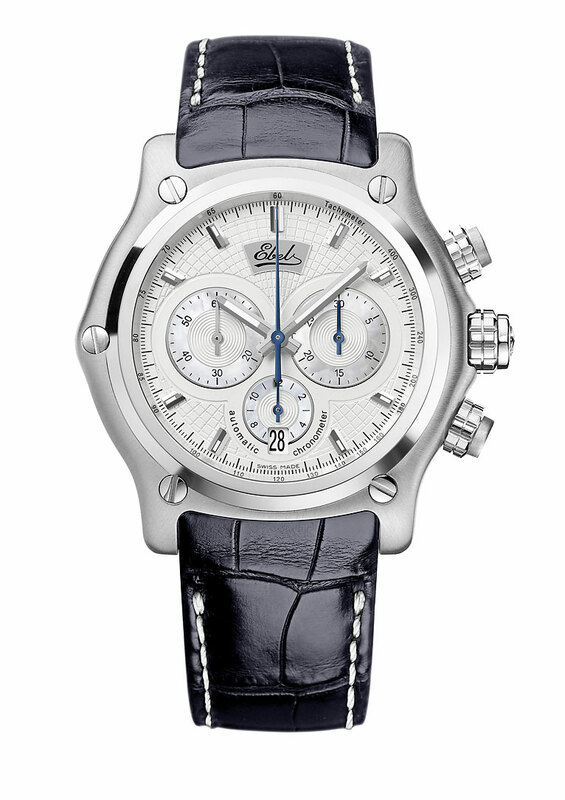 Another new design that Ebel released to celebrate their 100th year anniversary is the Ebel 1911 BTR 137. This watch is also limited edition, making it extremely rare and unique to own. 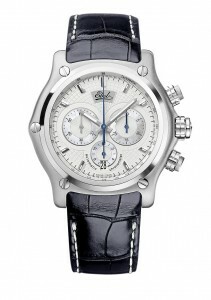 This watch comes in the chronograph style. This time piece is available in either pink gold or stainless steel. Only 100 pieces were made in the pink gold style. 500 pieces were made of the stainless steel version. The original Ebel logo is also displayed across the dial of this particular watch as well. There is a small date window located by the hour six. This dial contains no numerals, however, the second, minute and hour hands point to surrounded applied hour markers to tell the current time. The screw down crown is also a great feature that ensures its owner water will never makes it way inside of the watch. Ebel worked very hard to keep the simple luxury style that their brand has been presenting for years while working to design the Classic 100 and the 1911 BTR 137. It’s safe to say that Ebel succeeded. In 2011, Swiss luxury watch brand Ebel had a lot to celebrate. The brand celebrated a momentous event in their history, their centennial. Ebel released a number of fantastic new watches into its already strong collection, delighting fans and proving that the company’s longevity was no coincidence. As the year drew to a close, the company decided that their final message for the year should not be about their own affairs, but rather one of hope and caring for others. In a simple Youtube video, the company announced that “in the Spirit of the Season, Ebel has chosen to share its wishes and support with a people touched by deep tragedy in 2011. Ebel is sending the nation of Japan a holiday gift to help fund the work of reconstruction. To you, our cherished friends, colleagues and customers, we offer our very best wishes for a peaceful 2012.” After such a momentous year for Ebel, fans were surely taken aback– in a positive way– when they saw these words on the screen as the brand’s final words of 2011. On March 11, 2011, a 9.0 magnitude underground megathrust earthquake occurred off the coast of Japan and triggered a devastating tsunami that would decimate much of T?hoku and several other eastern regions of the island. The disaster resulted in more than 15,000 deaths, nearly 6,000 injuries and extensive structural damage. Roads and houses were completely destroyed in many areas, and the Fukushima Daiichi nuclear plant, heavily damaged, released a large amount of radioactive chemicals into the surrounding area. In December 2011, the plant was declared stable, but it will be years before the surrounding area will recover. The World Bank estimated the economic cost of the tsunami at approximately $235 billion U.S. dollars. This estimation places the disaster as the world’s most expensive to ever occur. Ebel has not released information regarding the exact nature or value of their gift to Japan. E.B.E.L. or Ebel, which stands for Eugene Blum et Levy in honor of the founders of the company, Swiss watchmaker Eugene Levy and his wife Alice Levy. The luxury watch company has long referred to themselves as the “Architects of Time.” From their early beginnings in 1911 in La Chaux-de-Fonds, Neuchâtel, Switzerland; Ebel has been creating elegant and classic timepieces with their extensive link to the world of architecture and design. Ebel created and released their first timepiece in 1912. In 1935, they became the first Swiss watchmaker to introduce the Western Electric precision and quality control standards. They became most famous for their 1911 line of sports watches that debuted in 1986. 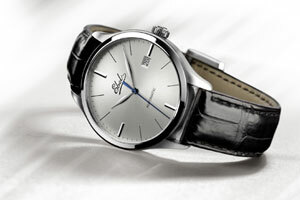 Ebel has created timeless pieces which attract watch connoisseurs as well as everyday watch snobs alike. They set themselves apart from competitors by creating quality and premium pieces that are at a lower price point than other luxury watchmakers. Ebel exudes class, elegance, and above all, they are philanthropic. In March 2011, the people of Fukushima, Japan as well as other nearby cities endured a horrible earthquake and tsunami. Many people lost their loved ones, homes, farms, cars, pets, and many other important things in their lives. Many people were also in danger of exposure to radiation as the Fukushima power plant was affected by the earthquake. While many non-profit groups as well as celebrities as well as people from all over the world reached out to help the citizens of Japan, Ebel also stepped in to help. Eloquently and humbly stated, Ebel shares their wishes for a peaceful 2012 for the world. Ebel, who has long made a name for themselves with their creative and quality timepieces will undoubtedly continue the legacy of Eugene Blum and Alice Levy.